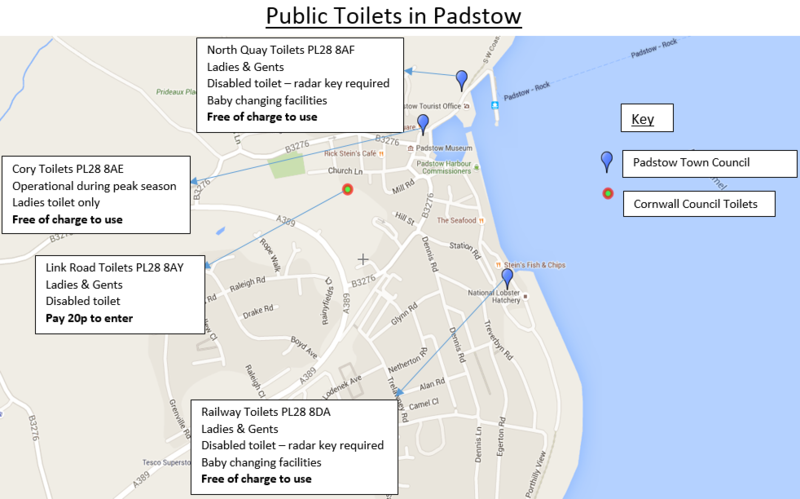 3 of which are maintained by Padstow Town Council. These conveniences are free of charge. 1 maintained by Cornwall Council which require 20p to enter. Below is a map of the locations and what is available at each facility. These toilets require 20p to enter with ladies, gents, disabled and baby changing facilities available. During quieter months the facility may close some sections, but are hoping to keep the disabled toilet available and maintained for everyone to use.